Don’t just drink your vitamin C, slap it on your face and call it a day with Ole Henriksen’s newest power-packed product. 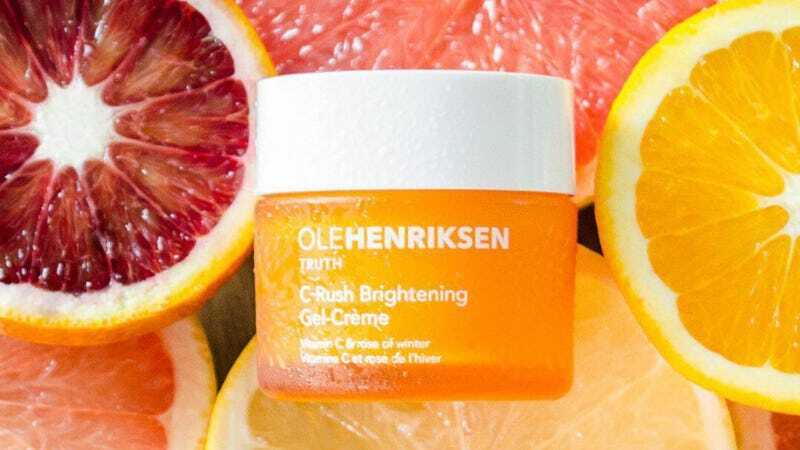 The Ole Henriksen C-Rush Brightening Gel Crème promises a formula that “instantly illuminates and delivers an energizing burst of 24-hour hydration.” While the effects of vitamin C are still mostly unfounded, I’ve had a great experience with Ole Henriksen’s Truth Serum. It’s noticeably helped with my skin texture and the PIH I have along my cheeks, which has been the bane of my existence during my Millennial obsession of filling the void with skin care. What makes the Gel Crème different from the rest of the vitamin C line of Ole Henriksen products is the addition of Rose of Winter extract, which is from a flower found on the Jeju Island in South Korea. This may ring a bell, as one of my favorite K-beauty brands, Innisfree, features a ton of ingredients from the same island. Seems like K-beauty secrets are making their way to Denmark. The smell of the C-Rush Brightening Gel Crème is, as expected, bright and citrusy, with a hint of sweetness (most likely from the addition of the Rose of Winter extract). It’s a really great option for an overnight moisturizer on top of the Truth Serum. Or, if you want an even more vitamin C packed day, it can be layered under a sunscreen because it basically melts into your skin, and the smell, thankfully, dissipates quickly so that you don’t end up smelling like stale orange juice all day. I do feel a bit of a twinge when a facial cream comes in a pot/jar because of the sanitary implication, but since this is meant to be the first step in a routine post-cleansing, you will hopefully be applying it to a clean face, with clean fingers. Or you could just use a spatula or brush, if you’re really against dunking your fingers into product and slathering it on your face.